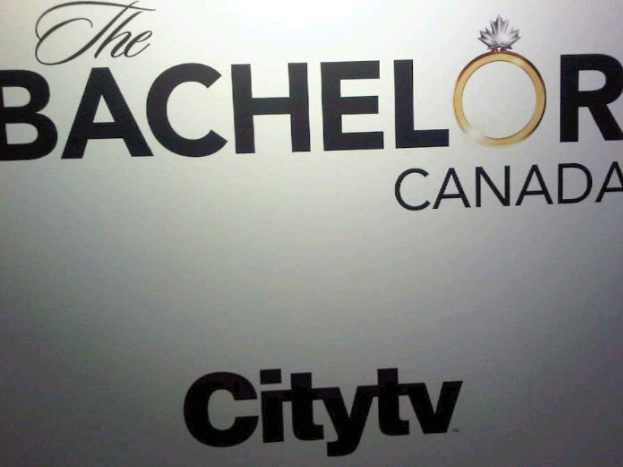 XOXO Jes - Canadian Entertainment News: The Bachelor Canada Calgary Auditions - Did you pass my test #YYC? The Bachelor Canada Calgary Auditions - Did you pass my test #YYC? There were some very plain looking girls, like they had just walked off the street and decided last second that this is where they needed to be - nothing extraordinary about them at all. Then there was the ones that put in some effort: curled their hair, got some extra highlights put in, put on some make-up, had a couple extra shots of espresso and were wearing their best Gap shirt and most flattering pair of jeans. Then there was my favorite group, they looked like they walked into Sirens, grabbed an outfit off a 'night out' mannequin, threw on 15 layers of makeup (when they only needed 3), and a tossed a brush through their hair. If I could compare them to something...I would say the looked like chicks you would see walking down the street on a Saturday morning, holding their heels, looking hagard with a stamp from Vinyl on their wrists. 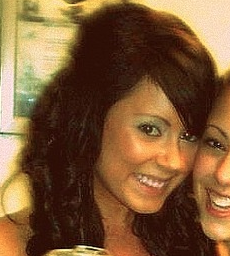 Except, of course, these girls were wearing their shoes and had touched up their make-up. These were the women who made up the The Bachelor Canada Calgary casting call. Not a single Cowboy hat, which was very disappointing, and only a small handful that I would have taken to the next round. I have to give the girls in attendance some props, even those walk-of-shamers. It must have taken some real motivation to get out of bed this morning, admit to yourself that you are single and alone and the best way to meet a dude is on a TV show where, as we all know, love is never found and the people always break up in the end. To really convince yourself that that was a good idea must have taken some real dedication. I was able to talk to a couple girls at the auditions and they all seemed to be on the same sick page. They're here to meet a guy, to fall in love etc etc. Oh, and for the 'experience.' Do they not know how many girls cry on this show - such a great experience to have. Obviously I wanted to punch each of them in the face as then ask them if they had watched any of the recent seasons of the American version and if they still think that this show is anything but a farce. But I didn't, because at the end of the day - I am not a horrible person out to crush dreams of the non-jaded female population. One of the hopefuls that I talked to was Jen Ludek. If Heidi Montag had a Canadian cousin I think Jen would be it. She isn't plastic like Montag, but 'fame whore' may be a legit way to describe her way of life. She is a Calgary Twitter sensation and YouTube video creator who applies to be on reality TV shows in her spare time. You may remember her from a couple years ago on that horrible middle aged woman burlesque wannabe show Re-Vamped. She was the oddly casted young girl who was too out of place to be on that show. I said she would have been better suited to be on Jersey Shore...but I guess the Bachelor is a good alternative. Jen fell into category 2 as far as looks were concerned, but she definitely didn't have the same naive thinking about finding 'love' on the show as the other girls I talked to. Jes: Would you get married to someone after knowing them for 7 weeks? Jen: There's no way. I am not desperate however if he had blond hair, blue eyes, and gay face I'd be willing to reconsider. Jes: Will you fall in love? Jen: With myself maybe. Sure meeting a great guy would be awesome but everyone knows that no one cares about that part of the show. They just want to see girls ripping each others weaves out and being catty. Besides Jen, and a couple of other girls - Calgary didn't really pass the test. Winnipeg (Feb 23), Toronto (Feb 25/26), Montreal (Feb 27), and Halifax (Feb 28) will have to do better than this. Are we ready for this Canada? Or will this Canadian spin off be a dud like most of the chicks I saw today? Don't forget, there is still time to submit your video application if you don't have an entire day to go hang out in a hotel ballroom! You will have some competition because I submitted the most stellar nomination EVER - if my girl doesn't get picked you will see my rage.